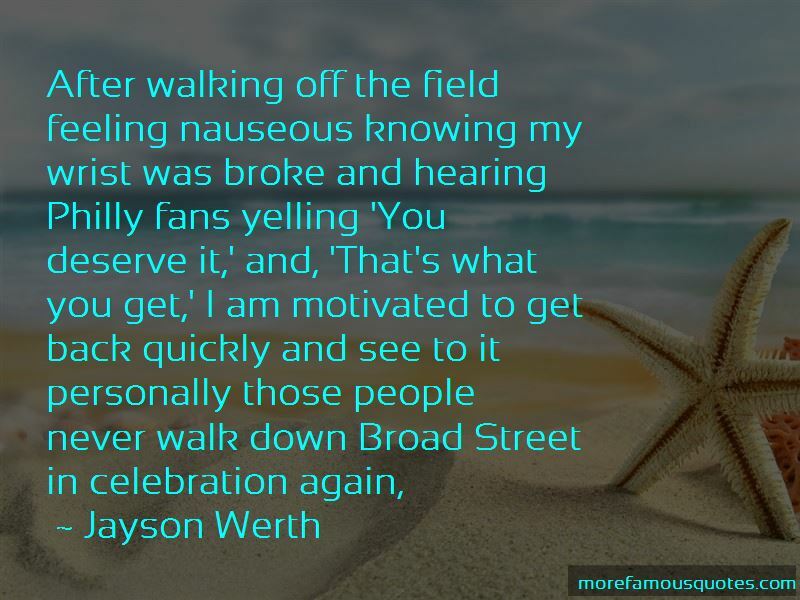 Enjoy the top 8 famous quotes, sayings and quotations by Jayson Werth. I want to get out in the community and make sure everyone knows I'm not some renegade driver that's out there and irresponsible and reckless. I really think this is just a one-time thing. You live and learn. If you do the crime, you do the time, so to speak. With that said, I got a lot going for me. I got a great job, a great career, a great family. This is just a little bump in the road. My spirit's not broke. I'm not down and out by any means. 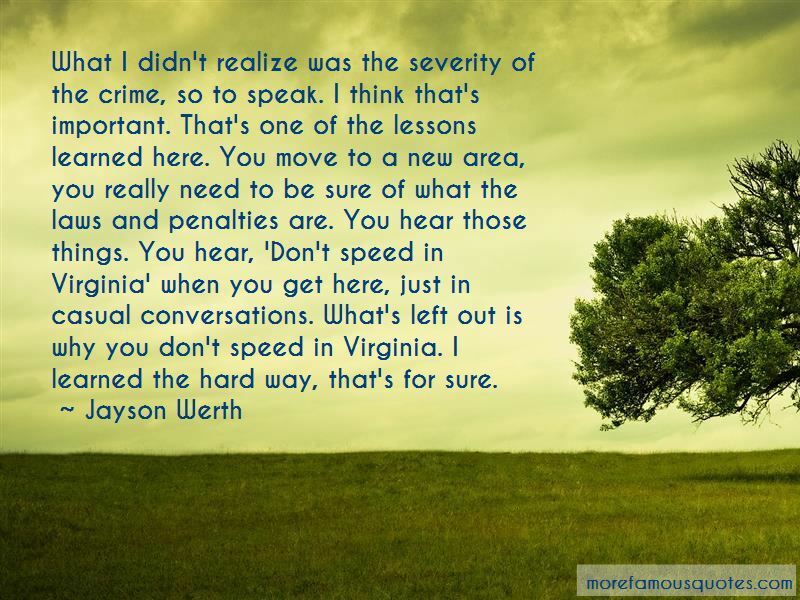 Want to see more pictures of Jayson Werth quotes? 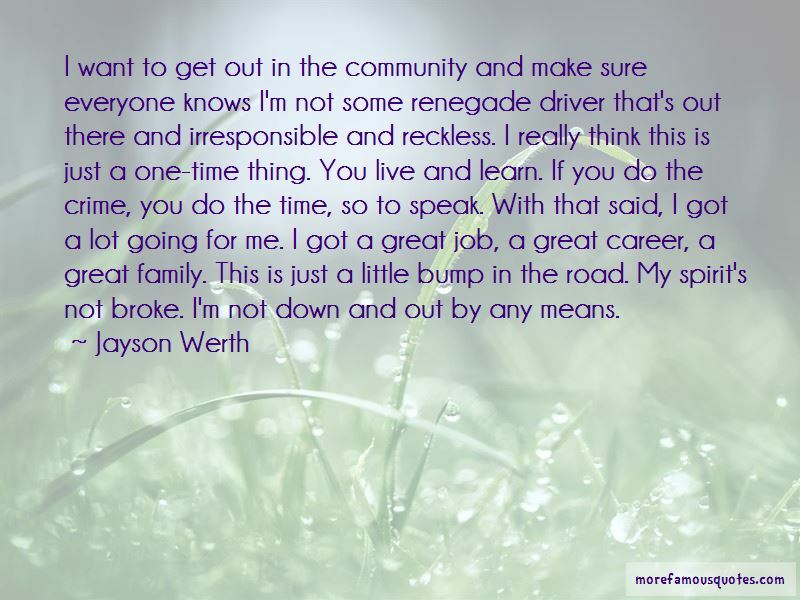 Click on image of Jayson Werth quotes to view full size.